The Paul VI Missal has been well studied in itself, but most of the specific decisions that gave the present missal its shape and character have yet to be placed under the scholarly microscope. This is understandable. The sweeping nature of the reforms and the nearly countless particular decisions that make up the whole define a task that is vast almost beyond imagining. Still, it is a lamentable lacuna. More than thirty years after the promulgation of the Paul VI Missal, the scholarly work essential for situating the new rite in relation to the whole of the Western liturgical tradition is only in its infancy. By specific decisions I refer to the revisers’ choice of one prayer over another, of one textual variation over another, and so forth. The very first proper Mass oration of the liturgical year, the collect for the first Sunday of Advent, typifies one common sequence of specific decisions and can serve as an example.2 The revisers chose Gelasianum Vetus 1139, an Advent postcommunion in an eighth-century Mass book to be the collect for the first Sunday of Advent in the new missal.3 Before inclusion, however, the ancient oration was edited so that its meaning was altered.4 Moreover, the decision to adopt a new collect required displacing a collect that had been in unbroken use on the first Sunday of Advent for at least twelve hundred years.5 Otherwise unchanged, the former collect for the first Sunday of Advent is now the collect for Friday of the first week of Advent. 1. I am grateful to the Intercultural Forum for Studies in Faith and Culture of the Pope John Paul II Cultural Center, Washington, D. C., for the support, and to Caldwell College, Caldwell, N. J., for the leave, that enabled me to research and write this article. 2. Namely, to replace an oration for a particular Mass setting with a completely different oration from a different setting, and to present the adopted oration in an edited form. 3. Cuthbert Johnson and Anthony Ward, “The Sources of the Roman Missal (1975),” Notitiae 22 (1986): 468 cites Liber Sacramentorum Romanae Aeclesiae ordinis anni circuli, ed. Leo Cunibert Mohlberg, Leo Eizenfoefer, and Peter Siffrin (Rome: Herder, 1960), the critical edition of Codex Vaticanus Reginensis 316, which was copied at Chelles circa 750 and is usually called the Old Gelasian Sacramentary (Gelasianum Vetus =GeV). The manuscript is a unique Frankish recension of a Roman book that was probably composed between 628 and 715 A.D. See Cyril Vogel, Medieval Liturgy: An Introduction to the Sources, trans. and rev. by William Storey and Neils Rasmussen (Washington, D. C.: The Pastoral Press, 1981), 64–70 for details. Gelasianum Vetus is the oldest, not the only, codex that bears witness to the oration under discussion. Cf. Eugene Moeller and Ionanne Maria Clément, Corpus Orationum, t. 4, Corpus Christianorum Series Latina, 160A (Turnholt: Brepols, 1993), 71–72, n. 1006, which lists 12 other codices in which forms of the same oration appear. In every instance the prayer is used as an Advent postcommunion or super populum (prayer over the people or blessing). It is used as a collect for the first time in the 1970 missal. 4. Compare GeV 1139, “Da, quaesumus, omnipotens Deus, cunctae familiae tuae hanc voluntatem in Christo filio tuo domino nostro venienti in operibus iustis aptos occurrere, et eius dexterae sociati, regnum mereantur possidere caeleste” [Grant, we beseech you, almighty God, to your whole family this will in Christ your Son, our coming Lord, to meet [him] made fit in just deeds, and joined (or assigned) to his right, may they be worthy to possess the heavenly kingdom], to Missale Romanum (1970), “Da quaesumus, omnipotens Deus, hanc tuis fidelibus voluntatem, ut, Christo tuo venienti iustis operibus occurrentes, eius dexterae sociati, regnum mereantur possidere caeleste” [Grant, we beseech you, almighty God, this will to your faithful, that, hastening in righteous deeds to meet your coming Christ, assigned to his right, they may be worthy to possess the heavenly kingdom]. The Gelasian oration begs a will in Christ to meet Christ made fit, or prepared, in just deeds. The 1970 collect does not specify a will “in Christ” or speak of the transformation of the person. On the face of it, neither the theological anthropology nor the eschatology of the two prayers is exactly the same. The translations of all Latin texts appearing in this article are my own. 5. 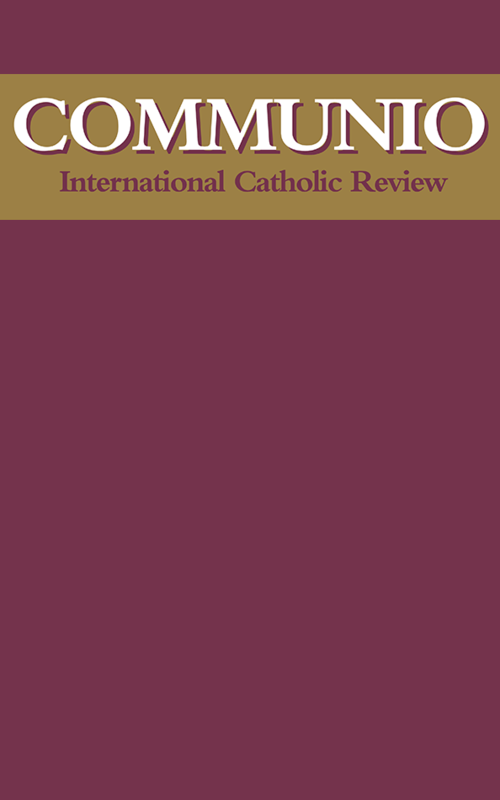 Eugene Moeller and Ionanne Maria Clément, Corpus Orationum, t. 4, Corpus Christianorum Series Latina 160C, (Turnholt: Brepols, 1994), 242, n. 2875b lists the thirty-nine codices dating from the eighth to the sixteenth centuries in which the 1962 collect for the first Sunday of Advent appears in the same or in an equivalent setting (in some missals the first Sunday of Advent is designated “the fourth Sunday before the birth of the Lord”). See also Placide Bruylants, Les Oraisons du Missel Romain text et Histoire, vol. 2 (Louvain: Centre de Documentation et d’Information Liturgiques, 1952), n. 546.